Advances in plasma and fusion science are described in Quest, PPPL’s research magazine. From analyzing solar flares to pursuing “a star in a jar” to produce virtually limitless electric power, scientists at the U.S. Department of Energy’s (DOE) Princeton Plasma Physics Laboratory (PPPL) have developed insights and discoveries over the past year that advance understanding of the universe and the prospect for safe, clean, and abundant energy for all humankind. “Our research sheds new light on the function of plasma, the state of matter that comprises 99 percent of the visible universe,” writes Steve Cowley, new director of PPPL, in the 2018 edition of Quest, PPPL’s annual research magazine. Quest, just published in July 2018, summarizes in short, easy-to-digest format, much of the research that occurred at PPPL over the last year. Among the stories are descriptions of how scientists are finding ways to calm instabilities that can lead to the disruption of fusion reactions. Such research is critical to the next steps in advancing fusion energy to enable fusion devices to produce and sustain reactions that require temperatures many times hotter than the core of the sun. Fusion, the power that drives the sun and stars, fuses light elements and releases enormous energy. If scientists can capture and control fusion on Earth, the process could provide clean energy to produce electricity for millions of years. Plasma, the state of matter composed of free electrons and atomic nuclei that fuels fusion reactions and makes up 99 percent of the visible universe, unites PPPL research from astrophysics to nanotechnology to the science of fusion energy. Could planets beyond our solar system be habitable, for example? PPPL and Princeton scientists say that stellar winds — the outpouring of charged plasma particles from the sun into space — could deplete a planet’s atmosphere and dry up life-giving water over hundreds of millions of years, rendering a blow to the theory that these planets could host life as we know it. Quest details efforts to understand the scientific basis of fusion and plasma behavior. For example, in the section on Advancing Fusion Theory, physicists describe how bubble-like “blobs” that arise at the edge of the plasma can carry off heat needed for fusion reactions. Improved understanding of such behavior could lead to better control of the troublesome blobs. Another story outlines how researchers are using a form of artificial intelligence called “machine learning” to predict when disruptions that can halt fusion reactions and damage fusion devices occur. The innovative technique has so far yielded outstanding results. Included in Quest are descriptions of collaborations PPPL scientists and engineers have working on fusion devices around the world. These collaborations include ITER, the large multinational fusion device under construction in France, as well as research on devices in China, South Korea, and at the National Ignition Facility in the United States. Read also about PPPL’s long-standing efforts to educate students, teachers, and the public around STEM (science, technology, engineering, and math), as well as some of the award-winning work by scientists and inventors at PPPL. When Germany’s Wendelstein 7-X (W7-X) fusion facility set a world record for stellarators recently, a finely tuned instrument built and delivered by the U.S. Department of Energy’s (DOE) Princeton Plasma Physics Laboratory (PPPL) proved the achievement. The record strongly suggests that the design of the stellarator can be developed to capture on Earth the fusion that drives the sun and stars, creating “a star in a jar” to generate a virtually unlimited supply of electric energy. The achievement produced temperatures of 40 million degrees for the ions and an energy confinement time, which measures how long it takes energy to leak out across the confining magnetic fields of 0.22 seconds. (The density was 0.8 x 1020 particles per cubic meter.) Measuring the temperature was an x-ray imaging crystal spectrometer (XICS) built by PPPL physicist Novimir Pablant, now stationed at W7-X, and engineer Michael Mardenfeld at PPPL. “The spectrometer provided the primary measurement,” said PPPL physicist Sam Lazerson, who also collaborates on W7-X experiments. PPPL has designed and delivered additional components installed on the W7-X. These include a set of large trim coils that correct errors in the magnetic field that confines W7-X plasma, and a scraper unit that will lessen the heat reaching the divertor that exhausts waste heat from the fusion facility. The recent world record was a result of upgrades that IPP made to the stellarator following the initial phase of experiments, which began in December 2015. Improvements included new graphite tiles that enabled the higher temperatures and longer duration plasmas that produced the results. A new round of experiments is to begin this July using the new scraper unit that PPPL delivered. Stellarators, first constructed in the 1950s under PPPL founder Lyman Spitzer, can operate in a steady state, or continuous manner, with little risk of the plasma disruptions that doughnut-shaped tokamak fusion facilities face. But tokamaks are simpler to design and build, and historically have confined plasma better, which accounts for their much wider use in fusion laboratories around the world. An overall goal of the W7-X is to show that the twisty stellarator design can confine plasma just as well as tokamaks. When combined with the ability to operate virtually free of disruptions, such improvement could make stellarators excellent models for future fusion power plants. You seem to be standing in the plasma vessel looking around: Where otherwise plasmas with temperatures of several million degrees are being investigated, with a virtual-reality viewer you can now roam around there. he viewer gives access at any time to the plasma vessel of the ASDEX Upgrade fusion device at Max Planck Institute for Plasma Physics (IPP) in Garching, upstairs, downstairs and in the control room. 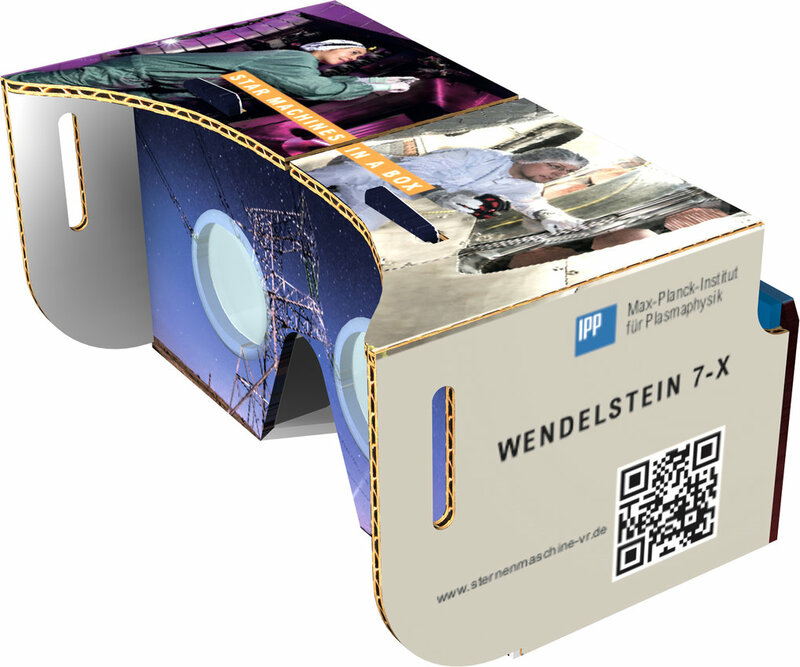 The plasma vessel of IPP’s Wendelstein 7-X device at Greifswald is likewise always open for a virtual visit, as well as the experimentation hall and the facilities for microwave heating. A cardboard viewer or a VR headset provides virtual access by smartphone (with gyro function and acceleration sensor) or directly on the screen of a PC or tablet, depending on the type of viewer used*. And here’s how it works: Select the web address of the device wanted and click there the viewer symbol to select the virtual-reality mode. The screen then splits in two, one bit for each eye, thus providing a spatial image. Now put on the headset or attach the smartphone to the viewer and then you can look in any direction. The VR Setup link on the split screen adapts the image to the smartphone or headset used. Selector switches put you through to the various sites. The panoramas were photographed by Volker Steger and the VR conversion was done by Eduard Plesa. The Max Planck Institute of Plasma Physics (Max-Planck-Institut für Plasmaphysik, IPP) is a physics institute for the investigation of plasma physics, with the aim of working towards fusion power. The institute also works on surface physics, also with focus on problems of fusion power. The IPP is an institute of the Max Planck Society, part of the European Atomic Energy Community, and an associated member of the Helmholtz Association. The IPP has two sites: Garching near Munich (founded 1960) and Greifswald (founded 1994), both in Germany. It also cooperates with the ITER and JET projects. 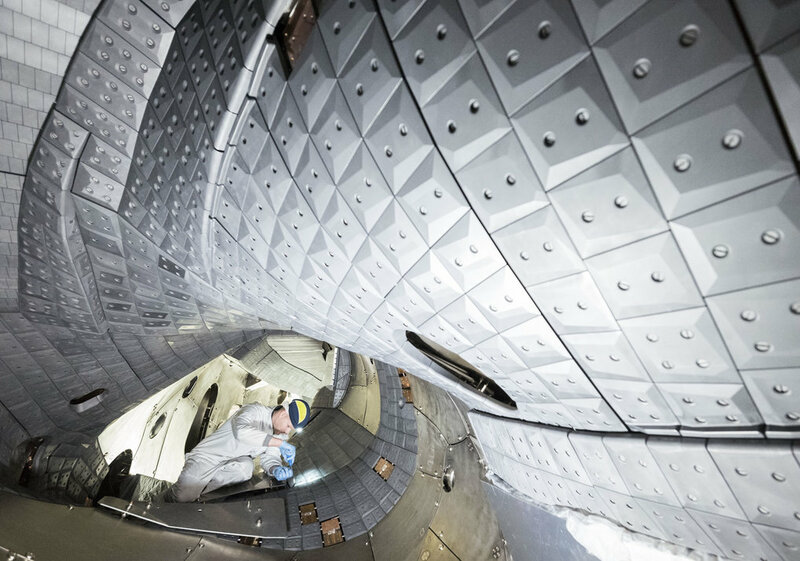 Unlike in the first experimentation phase 2015/16, the plasma vessel of Wendelstein 7-X has been fitted with interior cladding since September last year (see PI 8/2017). The vessel walls are now covered with graphite tiles, thus allowing higher temperatures and longer plasma discharges. With the so-called divertor it is also possible to control the purity and density of the plasma: The divertor tiles follow the twisted contour of the plasma edge in the form of ten broad strips along the wall of the plasma vessel. In this way, they protect particularly the wall areas onto which the particles escaping from the edge of the plasma ring are made to impinge. Along with impurities, the impinging particles are here neutralised and pumped off. Since the end of 2017 Wendelstein 7-X has undergone further extensions: These include new measuring equipment and heating systems. Plasma experiments are to be resumed in July. Major extension is planned as of autumn 2018: The present graphite tiles of the divertor are to be replaced by carbon-reinforced carbon components that are additionally water-cooled. They are to make discharges lasting up to 30 minutes possible, during which it can be checked whether Wendelstein 7-X permanently meets its optimisation objectives as well. The objective of fusion research is to develop a power plant favourable to the climate and environment. Like the sun, it is to derive energy from fusion of atomic nuclei. Because the fusion fire needs temperatures exceeding 100 million degrees to ignite, the fuel, viz. a low-density hydrogen plasma, ought not to come into contact with cold vessel walls. Confined by magnetic fields, it is suspended inside a vacuum chamber with almost no contact. The magnetic cage of Wendelstein 7-X is produced by a ring of 50 superconducting magnet coils about 3.5 metres high. Their special shapes are the result of elaborate optimisation calculations. Although Wendelstein 7-X will not produce energy, it hopes to prove that stellarators are suitable for application in power plants. Its aim is to achieve for the first time in a stellarator the quality of confinement afforded by competing devices of the tokamak type. In particular, the device is to demonstrate the essential advantage of stellarators, viz. their capability to operate in continuous mode. In the quest for fusion energy, scientists have spent decades experimenting with ways to make plasma fuel hot and dense enough to generate significant fusion power. At MIT, researchers have focused their attention on using radio-frequency (RF) heating in magnetic confinement fusion experiments like the Alcator C-Mod tokamak, which completed its final run in September 2016. 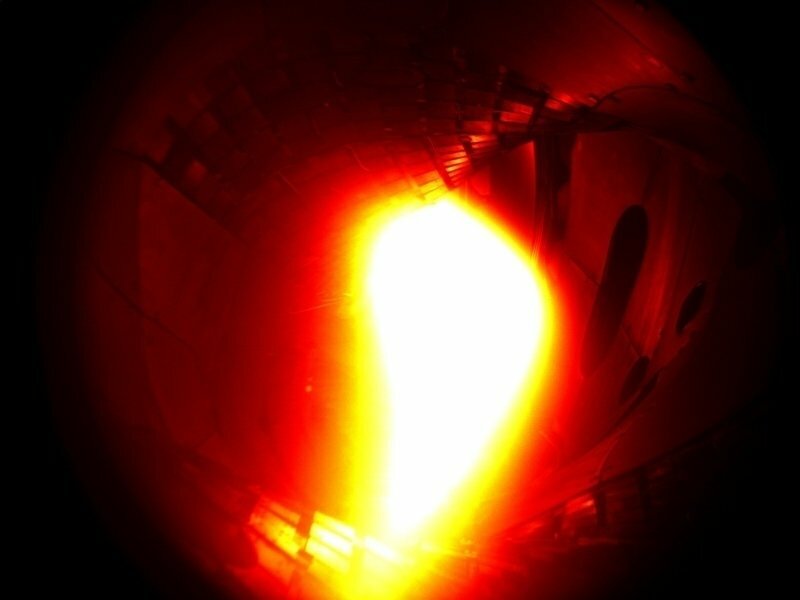 Now, using data from C-Mod experiments, fusion researchers at MIT’s Plasma Science and Fusion Center (PSFC), along with colleagues in Belgium and the UK, have created a new method of heating fusion plasmas in tokamaks. The new method has resulted in raising trace amounts of ions to megaelectronvolt (MeV) energies — an order of magnitude greater than previously achieved. The new approach, recently detailed in the journal Nature Physics, uses a fuel composed of three ion species hydrogen, deuterium, and trace amounts (less than 1 percent) of helium-3. Typically, plasma used for fusion research in the laboratory would be composed of two ion species, deuterium and hydrogen or deuterium and He-3, with deuterium dominating the mixture by up to 95 percent. Researchers focus energy on the minority species, which heats up to much higher energies owing to its smaller fraction of the total density. In the new three-species scheme, all the RF energy is absorbed by just a trace amount of He-3 and the ion energy is boosted even more — to the range of activated fusion products. Wright was inspired to pursue this research after attending a lecture in 2015 on this scenario by Yevgen Kasakov, a researcher at the Laboratory for Plasma Physics in Brussels, Belgium, and the lead author of the Nature Physics article. Wright suggested that MIT test these ideas using Alcator C-Mod, with Kasakov and his colleague Jef Ongena collaborating from Brussels. 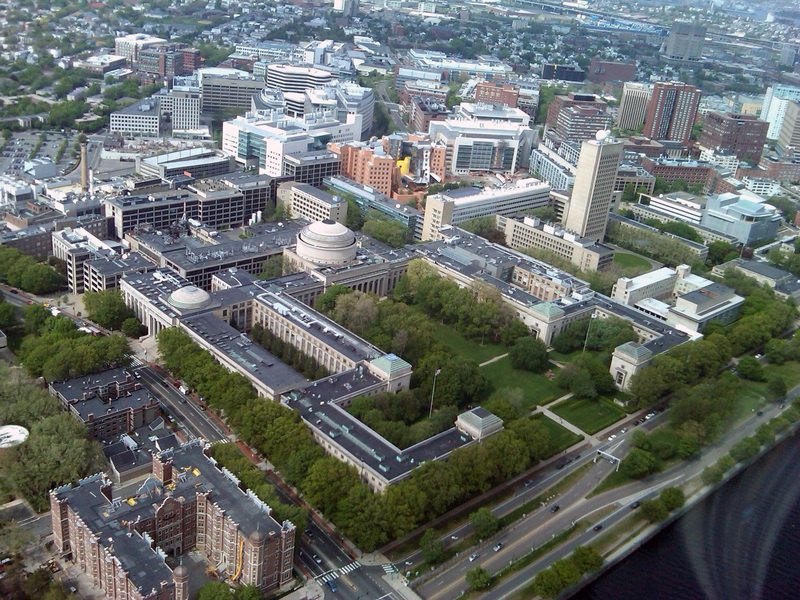 At MIT, PSFC research scientist Stephen Wukitch helped developed the scenario and run the experiment, while Professor Miklos Porkolab contributed his expertise on RF heating. Research scientist Yijun Lin was able to measure the complex wave structure in the plasma with the PSFC’s unique phase contrast imaging (PCI) diagnostic, which was developed over the last two decades by Porkolab and his graduate students. Research scientist Ted Golfinopoulos supported the experiment by tracking the effect of MeV-range ions on measurements of plasma fluctuations. The successful results on C-Mod provided proof of principle, enough to get scientists at the UK’s Joint European Torus (JET), Europe’s largest fusion device, interested in reproducing the results. Porkolab suggests that the new approach could be helpful for MIT’s collaboration with the Wendelstein 7-X stellarator at the Max Planck Institute for Plasma Physics in Greifswald, Germany, where research is ongoing on one of the fundamental physics questions: How well fusion-relevant energetic ions are confined. 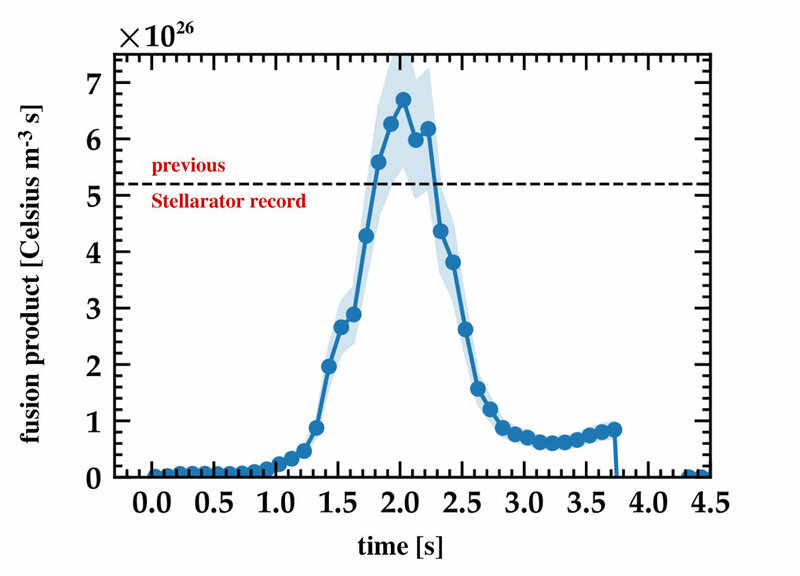 The Nature Physics article also notes that the experiments could provide insight into the abundant flux of He-3 ions observed in solar flares. Like JET, C-Mod operated at magnetic field strength and plasma pressure comparable to what would be needed in a future fusion-capable device. The two tokamaks also had complementary diagnostic capabilities, making it possible for C-Mod to measure the waves involved in the complex wave-particle interaction, while JET was able to directly measure the MeV-range particles. A proposal from scientists at the U.S. Department of Energy’s (DOE) Princeton Plasma Physics Laboratory (PPPL) has been chosen as part of a national initiative to develop the next generation of supercomputers. Known as the Exascale Computing Project (ECP), the initiative will include a focus on exascale-related software, applications, and workforce training. Once developed, exascale computers will perform a billion billion operations per second, a rate 50 to 100 times faster than the most powerful U.S. computers now in use. The fastest computers today operate at the petascale and can perform a million billion operations per second. Exascale machines in the United States are expected to be ready in 2023. The PPPL-led multi-institutional project, titled High-Fidelity Whole Device Modeling of Magnetically Confined Fusion Plasmas, was selected during the ECP’s first round of application development funding, which distributed $39.8 million. 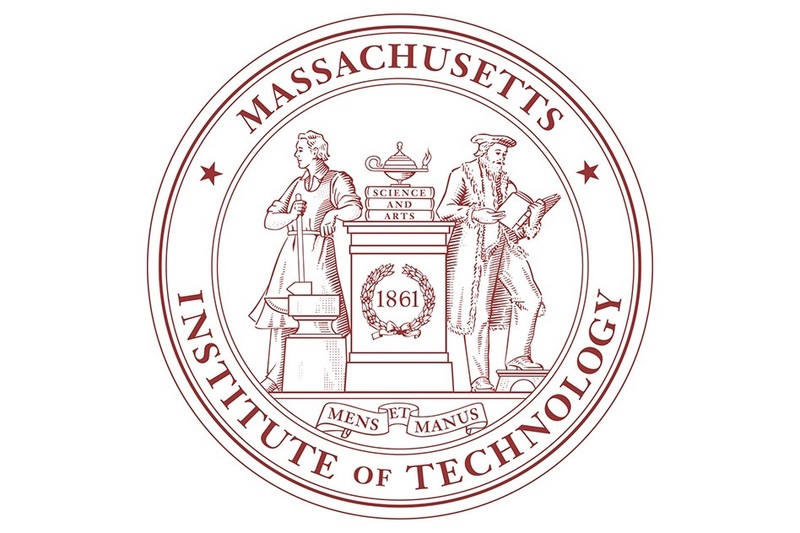 The overall project will receive $2.5 million a year for four years to be distributed among all the partner institutions, including Argonne, Lawrence Livermore, and Oak Ridge national laboratories, together with Rutgers University, the University of California, Los Angeles, and the University of Colorado, Boulder. PPPL itself will receive $800,000 per year; the project it leads was one of 15 selected for full funding, and the only one dedicated to fusion energy. Seven additional projects received seed funding. The ECP’s multi-year mission is to maximize the benefits of high performance computing (HPC) for U.S. economic competitiveness, national security and scientific discovery. In addition to applications, the DOE project addresses hardware, software, platforms and workforce development needs critical to the effective development and deployment of future exascale systems. The ECP is supported jointly by DOE’s Office of Science and the National Nuclear Security Administration within DOE. PPPL has been involved with high-performance computing for years. PPPL scientists created the XGC code, which models the behavior of plasma in the boundary region where the plasma’s ions and electrons interact with each other and with neutral particles produced by the tokamak’s inner wall. The high-performance code is maintained and updated by PPPL scientist C.S. Chang and his team. XGC runs on Titan, the fastest computer in the United States, at the Oak Ridge Leadership Computing Facility, a DOE Office of Science User Facility at Oak Ridge National Laboratory. The calculations needed to model the behavior of the plasma edge are so complex that the code uses 90 percent of the computer’s processing capabilities. Titan performs at the petascale, completing a million billion calculations each second, and the DOE was primarily interested in proposals by institutions that possess petascale-ready codes that can be upgraded for exascale computers. The PPPL proposal lays out a four-year plan to combine XGC with GENE, a computer code that simulates the behavior of the plasma core. GENE is maintained by Frank Jenko, a professor at the University of California, Los Angeles. Combining the codes would give physicists a far better sense of how the core plasma interacts with the edge plasma at a fundamental kinetic level, giving a comprehensive view of the entire plasma volume. Leading the overall PPPL proposal is Amitava Bhattacharjee, head of the Theory Department at PPPL. Co-principal investigators are PPPL’s Chang and Andrew Siegel, a computational scientist at the University of Chicago. The multi-institutional effort will develop a full-scale computer simulation of fusion plasma. Unlike current simulations, which model only part of the hot, charged gas, the proposed simulations will display the physics of an entire plasma all at once. The completed model will integrate the XGC and GENE codes and will be designed to run on exascale computers. The modeling will enable physicists to understand plasmas more fully, allowing them to predict its behavior within doughnut-shaped fusion facilities known as tokamaks. The exascale computing fusion proposal focuses primarily on ITER, the international tokamak being built in France to demonstrate the feasibility of fusion power. But the proposal will be developed with other applications in mind, including stellarators, another variety of fusion facility. Better predictions can lead to better engineered facilities and more efficient fusion reactors. Currently, support for this work comes from the DOE’s Advanced Science Computing Research program. “This will be a team effort involving multiple institutions,” said Bhattacharjee. He noted that PPPL will be involved in every aspect of the project, including working with applied mathematicians and computer scientists on the team to develop the simulation framework that will couple GENE with XGC on exascale computers. Following nine years of construction work and more than a million assembly hours, the main assembly of the Wendelstein 7-X was completed in April 2014. The first plasma in the machine had a duration of one tenth of a second and achieved a temperature of around one million degrees. “We’re very satisfied”, concludes Dr. Hans-Stephan Bosch, whose division is responsible for the operation of the Wendelstein 7-X, at the end of the first day of experimentation. “Everything went according to plan.” The next task will be to extend the duration of the plasma discharges and to investigate the best method of producing and heating helium plasmas using microwaves. After a break for New Year, confinement studies will continue in January, which will prepare the way for producing the first plasma from hydrogen. The objective of fusion research is to develop a power source that is friendly to the climate and, similarly to the sun, harvests energy from the fusion of atomic nuclei. As the fusion fire only ignites at temperatures of more than 100 million degrees, the fuel – a thin hydrogen plasma – must not come into contact with cold vessel walls. Confined by magnetic fields, it floats virtually free from contact within the interior of a vacuum chamber. For the magnetic cage, two different designs have prevailed – the tokamak and the stellarator. Both types of system are being investigated at the IPP. In Garching, the Tokamak ASDEX Upgrade is in operation and, as of today, the Wendelstein 7-X stellarator is operating in Greifswald. At present, only a tokamak is thought to be capable of producing an energy-supplying plasma and this is the international test reactor ITER, which is currently being constructed in Cadarache in the frame of a worldwide collaboration. Wendelstein 7-X, the world’s largest stellarator-type fusion device, will not produce energy. Nevertheless, it should demonstrate that stellarators are also suitable as a power plant. Wendelstein 7-X is to put the quality of the plasma equilibrium and confinement on a par with that of a tokamak for the very first time. And with discharges lasting 30 minutes, the stellarator should demonstrate its fundamental advantage – the ability to operate continuously. In contrast, tokamaks can only operate in pulses without auxiliary equipment. The assembly of Wendelstein 7-X began in April 2005: a ring of 50 superconducting coils, some 3.5 metres high, is the key part of the device. Their special shapes are the result of refined optimisation calculations carried out by the “Stellarator Theory Department”, which spent more than ten years searching for a magnetic cage that is particularly heat insulating. The coils are threaded onto a ring-shaped steel plasma vessel and encased by a steel shell. In the vacuum created inside the shell, the coils are cooled down to superconduction temperature close to absolute zero using liquid helium. Once switched on, they consume hardly any energy. The magnetic cage that they create, keeps the 30 cubic metres of ultra-thin plasma – the object of the investigation – suspended inside the plasma vessel. The investment costs for Wendelstein 7-X amount to 370 million euros and are being met by the federal and state governments, and also by the EU. The components were manufactured by companies throughout Europe. Orders in excess of 70 million euros were placed with companies in the region. Numerous research facilities at home and abroad were involved in the construction of the device. Within the framework of the Helmholtz Association of German Research Centres, the Karlsruhe Institute of Technology was responsible for the microwave plasma heating; the Jülich Research Centre built measuring instruments and produced the elaborate connections for the superconducting magnetic coils. Installation was carried out by specialists from the Polish Academy of Science in Krakow. The American fusion research institutes at Princeton [PPPL], Oak Ridge and Los Alamos contributed equipment for the Wendelstein 7-X that included auxiliary coils and measuring instruments.